Being basically a very un-bloggy person – am I the only performing seal that has to be reminded to perform (by my son Henry who blogs for Cancer Research UK )? – I (no, he) feel(s) I should in turn remind readers that I shall be ‘performing’ in the Telegraph Gardening Theatre at Hampton Court Flower Show on Wednesday 8 July anwering ‘Thorny Problems’ style questions with Val Bourne and a big cheese from the RHS. Empty seats and blank stares I do not relish. On another matter entirely: My ‘new’ garden has moved on. I have taken a few more (shoddy) pictures and added them to my Flickr page. Aren’t these warm days when you spill out into your garden in you PJs at 6 in the morning just wonderful? Everyone should grow ‘Fairy Wings’ poppies – fresh and fluttery each day, they lift the spirits to great heights. Everyone should also grow Nepeta govaniana and Campanula lactiflora together, absolutely intertwangled and completely over the top. Everyone should just stop bloody worrying and get out into their gardens. This entry was posted on Thursday, July 2nd, 2009 at 10:12 pm and is filed under Musings. You can follow any responses to this entry through the RSS 2.0 feed. You can leave a response, or trackback from your own site. I occassionaly pop along and check your blog out and so happened to notice this particular post. 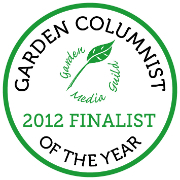 I am new to blogging but have enjoyed gardening for the last 40 years. (mostly) If you can take time to pop in and check my blog out you will see that on the right hand side a little way down, for the last 6 years I have sufferred with severe painful and debilitating arthritis and muscle weakness caused by Lyme Disease. Yes something that is considered oh so rare in UK but not from the 2000 other patients I am in touch with and I guess the way things are there may well be many thousands more who are not aware that their symptoms are related to a tiny poppy seed tick bite many years earlier. I have read gardening books and watched gardening programs avidly for many years but not once did I read or see anything that said you could get Lyme Disease in UK. I thought it was unique to USA, had I or my GP known, then a few weeks of antibiotics could have prevented me sufferring 6 years of ill health. I know those who train in forestry and horticulture are warned about the dangers of tick borne illness. 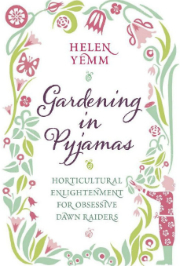 Why am I telling you about this well you guessed I am sure, please can you use your influence in your writing to raise awareness of Lyme Disease amongst us hobby gardeners. 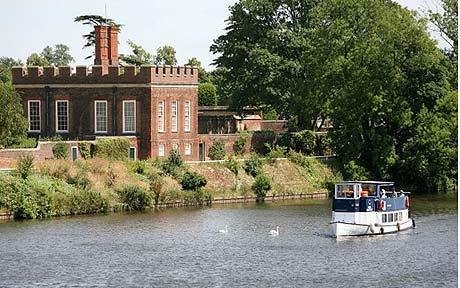 Where I live in Guildford I am now in touch with a dozen other patients with chronic symptoms following Lyme Disease so not such a rare illness as HPA would have us think and a problem that we are told with climate change will increase. Fortunately I am now nearly 100% recovered without pain and can garden again, hence my blog. Life is a joy.